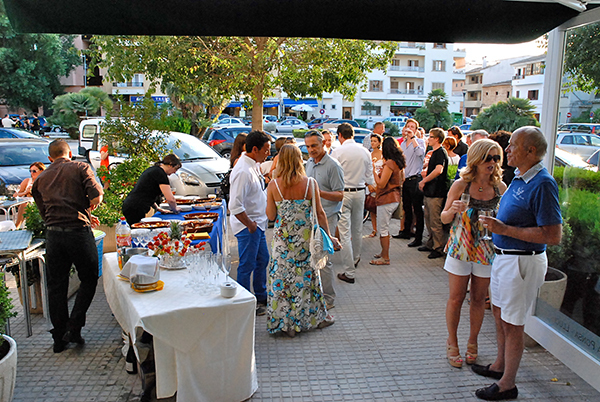 On 16th August the real estate provider opened its new estate agency in Pollensa. 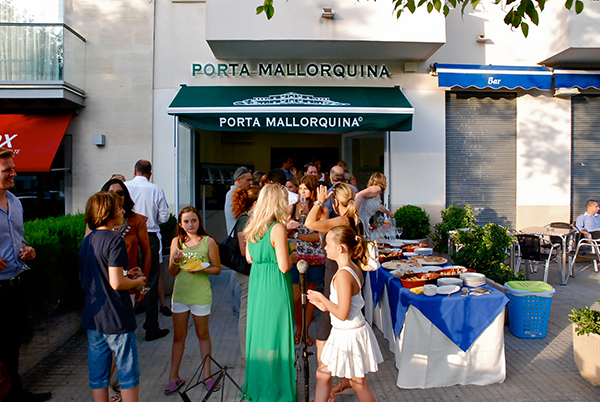 Porta Mallorquina opened its eighth office on 16th August in Pollensa. 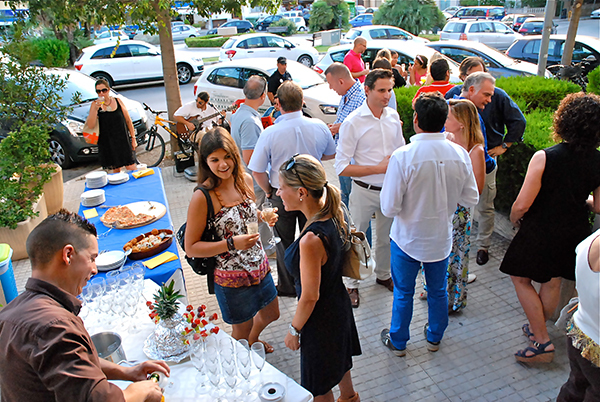 Around 100 guests came to Via Pollentia 41 in Pollensa last Friday to attend the opening of the real estate company’s new estate agency. While enjoying the foot-tapping live music and regional specialities, the guests – and particularly many local property owners – took the opportunity to have a chat and inform themselves about the current situation in the real estate market. 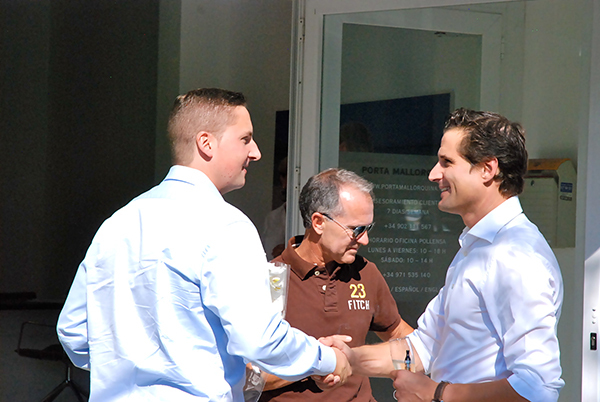 Sebastian Boelger (r.) weclomes Porta Mallorquina colleague Beatus Zimmermann, franchise partner for long-term lets in Majorca. More pictues on Facebook and Flickr.